Aqualift F Basic lifting station – to feature in the next Kessel Webinar and you’re invited! The Kessel Aqualift F Basic lifting station will feature in the last of their successful webinars before the Christmas break. The Aqualift F is the latest model in their range of quality lifting stations. 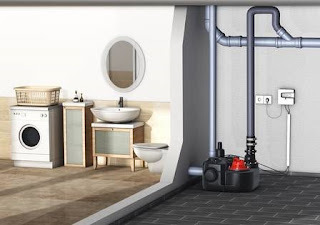 Developed to satisfy the requirements of modern sewage technology to the domestic or light commercial market, the Aqualift F is designed for handling wastewater from drainage fixtures such as toilets, showers or sinks; the unit is small, powerful & Cost effective. You are invited to take a closer look at the Aqualift F Basic in the webinar which will take place on December 6th. Click on the link below to register. Shortly before the webinar you will receive an email with an access code to the webinar room. This is their ‘holiday edition’ so there may be a little surprise for you!! 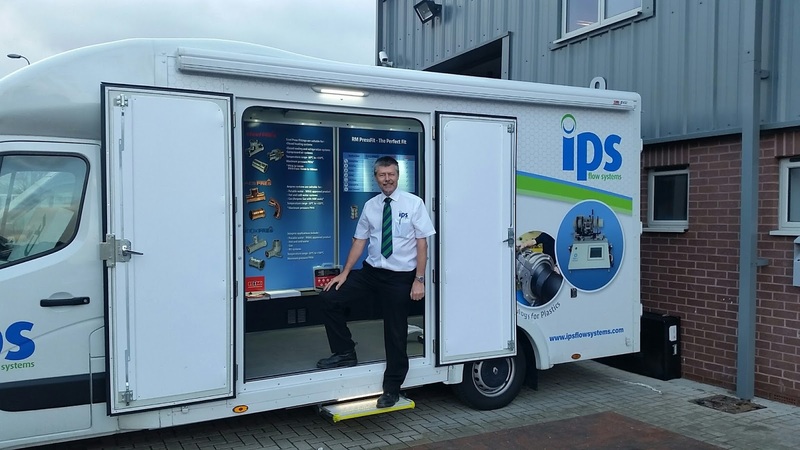 Last week saw the New IPS Demo Vehicle at the 2016 BAFSA AGM and Conference in Cardiff; the latest addition to our fleet the vehicle will be ideal for mini-exhibitions, product seminars, lunch & Learns as well as supporting our training sessions. We were delighted to welcome Vale of Clwyd AM and deputy presiding officer, Ann Jones to the demo vehicle. Anne successfully steered her Private Member’s Bill calling for fire sprinklers in all new-build homes in Wales through the assembly and into law – a first in the world! The Domestic Fire Safety (Wales) Measure 2011 made fire sprinklers compulsory in all new and converted hostels, care homes and other high risk properties from April 2014 and fitted as standard in all new and converted homes by January 2016. 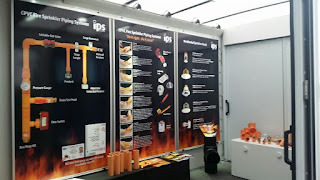 IPS Flow systems have supplied CPVC fire sprinkler products into the UK market for over 20 years; our large stockholding, (the largest in the UK) allows us to provide a consistently high level of service. 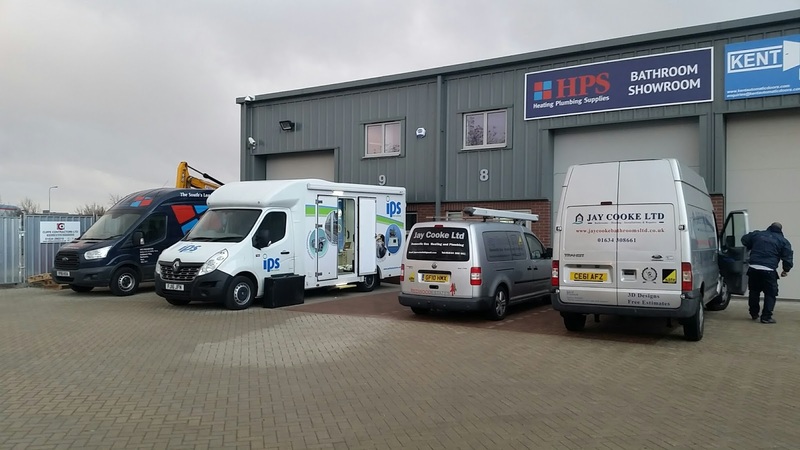 The addition of our demo vehicle comes at a time when the provision of training within the industry has been at the forefront of many discussions. If you would like to book our demo vehicle please visit our website www.ipsflowsystems.com , or contact our sales office on 0191 5213111 to discuss your specific requirements. When your time is pressing - IPS come to you! 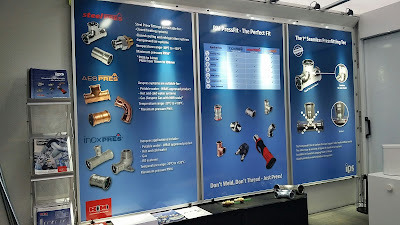 Today sees the new IPS demo vehicle starting a tour of the south east to raise awareness of one of our newest product ranges - RM Pressfit, available in Carbon Steel (SteelPres), Stainless Steel (InoxPres) and Copper/Bronze (AESPres), the systems covers sizes from 15mm to 108mm. This cost effective piping system, with no threading, welding, or soldering, provides tight, leak free joints using a simple, portable press tool. Look out for us at a HPS branch near you - today we are at Rochester.